We are imperfect people living among other imperfect people in an imperfect world. That has numerous effects. We do things contrary to God's Word and experience guilt as a result. We also get angry but mishandle it by repressing it or becoming bitter. We suffer physically and emotionally. All these things can result in depression—feeling hopeless, dejected, and sad—becoming inactive and not being able to sleep or focus on normal tasks. Most of us experience this at one time or another. The Lord knows depression is part of the human condition and provides answers to help us. He gives biblical examples of people who experienced it. In His Word He shows us some of its causes and cures: Elijah (1 Kings 19); Jonah (Jonah 4); David (Psalm 69). The Lord provides hope to the depressed. His Person (He is faithful, powerful, loving, and wise), His promises (to meet our needs, give strength, to protect), and His presence (He will never leave us or forsake us) all bring hope to the weary of soul. God also gives reasons for suffering and pain—to teach us (James 1:3), strengthen us (1 Peter 5:10), discipline us (Hebrews 12:5-11), and make us like Christ (Romans 8:28-29), to name just a few reasons. His unfailing love is also offered to comfort and encourage us when we are depressed (2 Corinthians 4:8-11; 7:6). We can’t change our feelings but we have total control over our behaviour. And our behaviour is linked to our decisions, because those choices are ours. When we choose obedience to God it brings Him favour. Pain is a part of life. And it’s in these “crucibles” our identity is shaped. Hard times are a transformative experience. Where Do I Go With This Broken Heart? Pain in our lives is an opportunity to depend further on Christ. In the process, our faith is strengthened. God sees everything from the beginning to the end. But you have a limited view. Although in the moment you may be feeling defeated or forgotten, God sees the final scene. And from his perspective, it’s beautiful. When the advent season begins, our stressed-out and overworked spirits are refreshed by renewed anticipation of all Christmas means to us. But how do we hold onto that hope and stay on course throughout the year? “Upper” days lift our spirits and send them soaring. “Downer” days leave us sad and discouraged. As we face our own upper-downer days, we can learn from Abraham’s experience how to put things in proper perspective and find our balance. Author John Bunyan was in a seemingly hopeless situation when he penned Pilgrim’s Progress, a book still impacting lives today...300 years later. Whatever tough stuff you’re dealing with remember God is with you, working through you, in His perfect timing and in His perfect way. Let’s face it: some days are uppers and some are downers. “Upper” days lift our spirits and send them soaring. “Downer” days leave us sad and discouraged. On a few occasions we get both on in one day! Everyone feels sad at certain points in life. Often, it is a response to pain and loss. General sadness is usually temporary and fades. 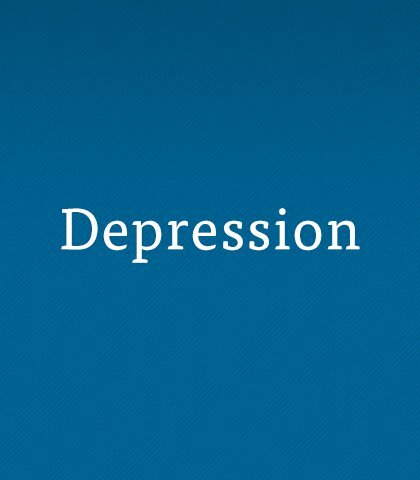 Clinical depression, on the other hand, is a longer-term mental illness. Is it OK to be sad?